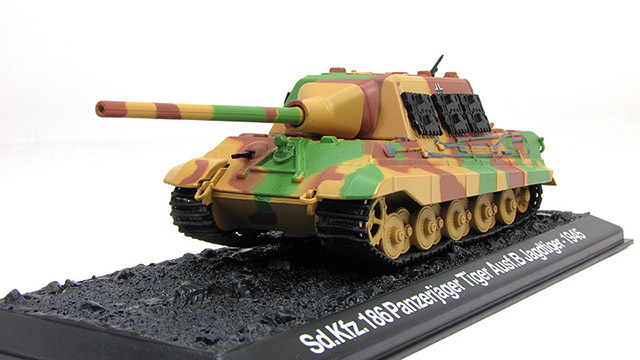 Jagdtiger ("Hunting Tiger") is the common name of a German heavy tank destroyer of World War II. 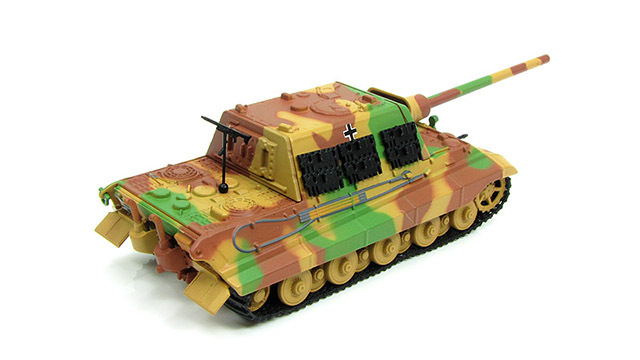 The official German designation was Panzerjäger Tiger Ausf. 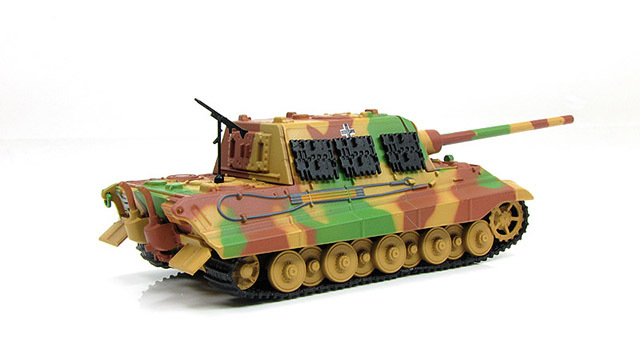 B as it was based on a lengthened Tiger II chassis. The ordnance inventory designation was Sd. Kfz. 186. 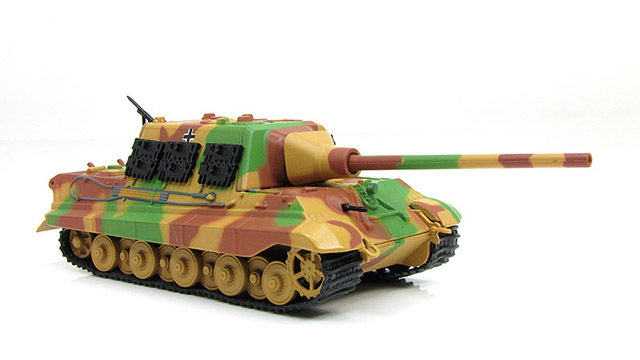 The 71-tonne Jagdtiger was the heaviest armored fighting vehicle used operationally during World War II and is the heaviest armored vehicle of any type to achieve series production. The vehicle carried a 128 mm PaK 44 L/55 main gun, capable of out-ranging and defeating any fielded Allied tank. It saw service in small numbers from late 1944 to the end of the war on both the Western and Eastern Front. Tiger ace Otto Carius commanded a company of Jagdtigers. His post-war memoir provides a rare combat history of the Jagdtigers that were under his command. Although 150 were ordered, only between 77 and 88 were produced. 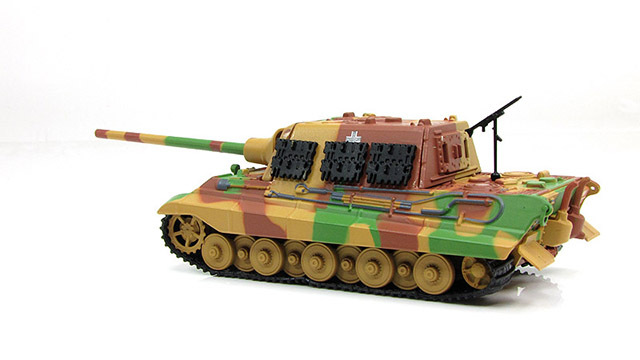 Due to an excessive weight, the Jagdtiger was continuously plagued with mechanical problems.